BMW is one of the sturdiest cars ever manufactured in the auto industry. This car boasts of cutting-edge engineering as well as excellent performance, factors that have driven it to be ranked among the very best cars in the market. Despite all of this, BMWs are, like all other vehicles, likely to develop some mechanical problems along the way. While the German manufacturer may have put their best foot forward to ensure that only quality is produced, the perfect car is still far from discovery and issues still show up after a while as a result of either wear and tear or design flaws. The exhaust system in your BMW is made up of pipes that expel exhaust gases that are a by-product of the fuel combustion process in the engine. A problem in this system can impact the overall performance of the engine and consequently the car. A malfunctioning exhaust system will result in a number of symptoms that will help you as an owner know that it is time to seek professional help for your BMW. A malfunctioning exhaust system will cause the back pressure in the pipes to be lost and in turn, this will result in a decrease in the ability of the car to accelerate. If the car is unable to accelerate, the performance will be automatically lower than normal. Failure of the pipes to expel the gases as normal will also interfere with the fuel combustion process leading to poor fuel efficiency. When the exhaust system fails, the hot gases that come from the fuel combustion process remain in the engine where they are bound to burn up some parts in the engine compartment. This results in the burning smell coming from the engine compartment. Part of the engine parts burning can also be characterized by smoke, though that is an extreme that you should never wait to see. Burning engine parts that are producing smoke point to a much bigger problem that can cause a fire. A failing exhaust system will also cause the engine to produce a hissing sound when you start or accelerate the car. This is mostly because of the exhaust gases leaking into the other parts of the engine as opposed to leaving through the exhaust pipe. 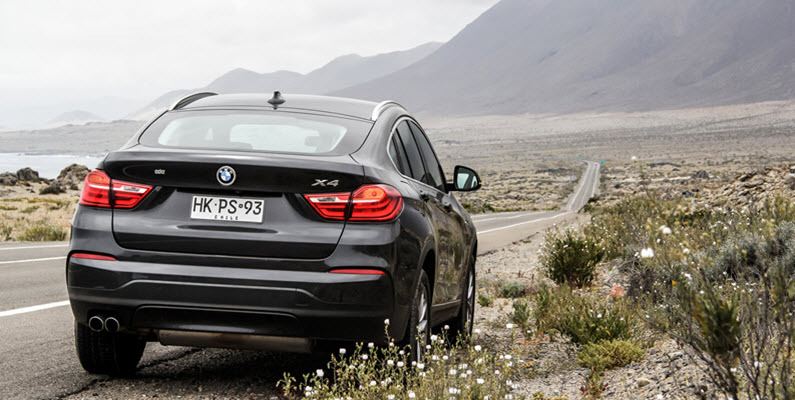 If you smell the scent of raw gas in the cabin of your car, it is highly likely that your BMW’s exhaust system has encountered a malfunction. This malfunction may have triggered a leak that will in turn cause the gas from the combustion chamber to leak into the main cabin, leading to the smell of raw fuel in the car. A malfunction in the exhaust pipes may cause the exhaust pipe under the car to break and hang loose. You will either notice the pipes hanging lower than usual or worse, dragging on the ground. Having an exhaust system problem in your BMW can cause your car to develop even more problems in the engine compartment if the malfunction is not rectified immediately. For this reason, taking the car into a professional repair shop is your best bet at getting the problem diagnosed correctly and fixed. Getting help from a repair shop that has been licensed by the manufacturer to provide repair services is the best shot that you have at getting your exhaust system repaired quickly and correctly. European Motor Cars is one such repair shop that is licensed to offer BMW, as well as other luxury brands, repairs in the state of Nevada. For BMW owners in the areas around Spring Valley, Las Vegas, North Las Vegas, Summerlin and Henderson, we are available to provide any help you may require with your car. With us you are assured of quality parts and an even better quality of engineering and expertise. All you need to do is book an appointment with us and we’ll take it from there. * BMW F26 X4 Exhaust System image credit goes to: DarthArt.